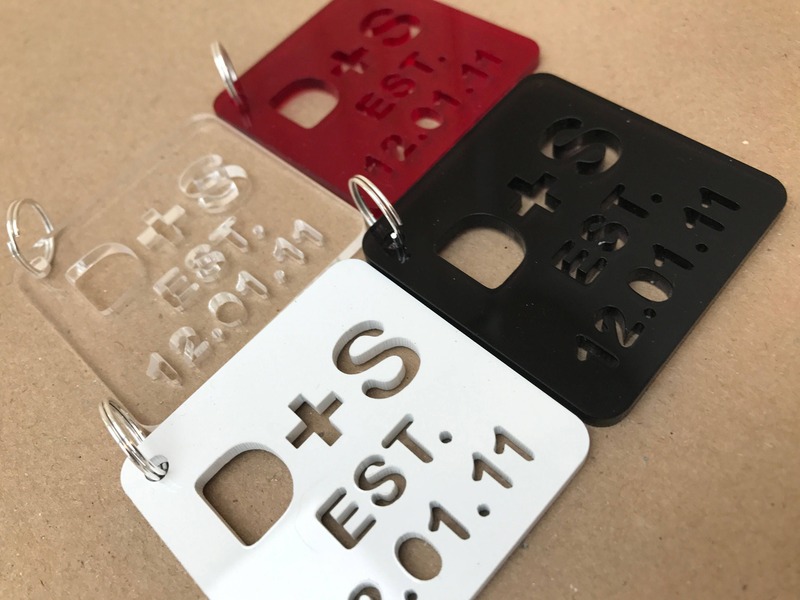 Personalised Acrylic Keyring Set of Two; Est. Keyring. 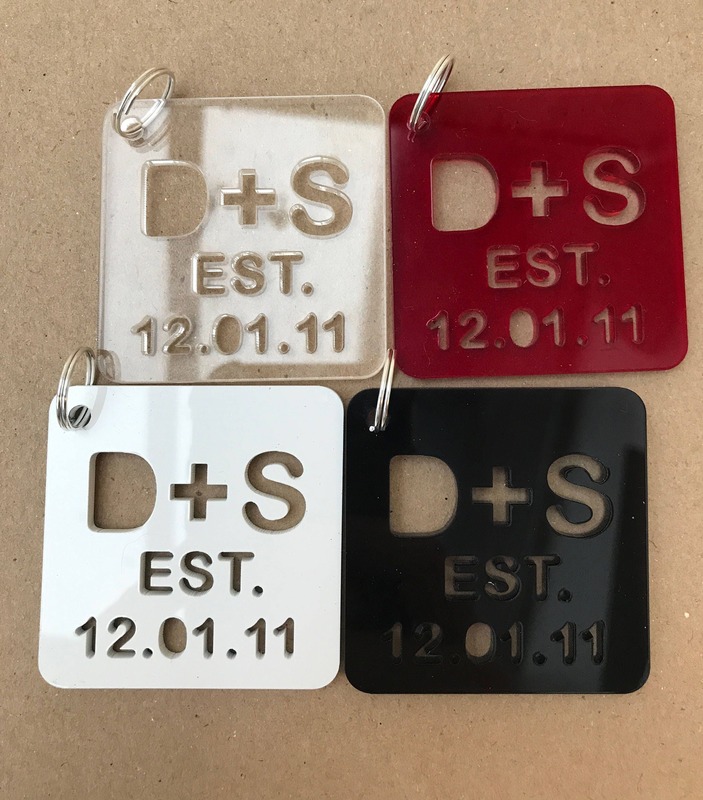 Perfect for a Special Gift for Couples or Valentine's Day. Ideal for Mr/Mrs, Her/Him. Beautiful, laser cut high quality acrylic. 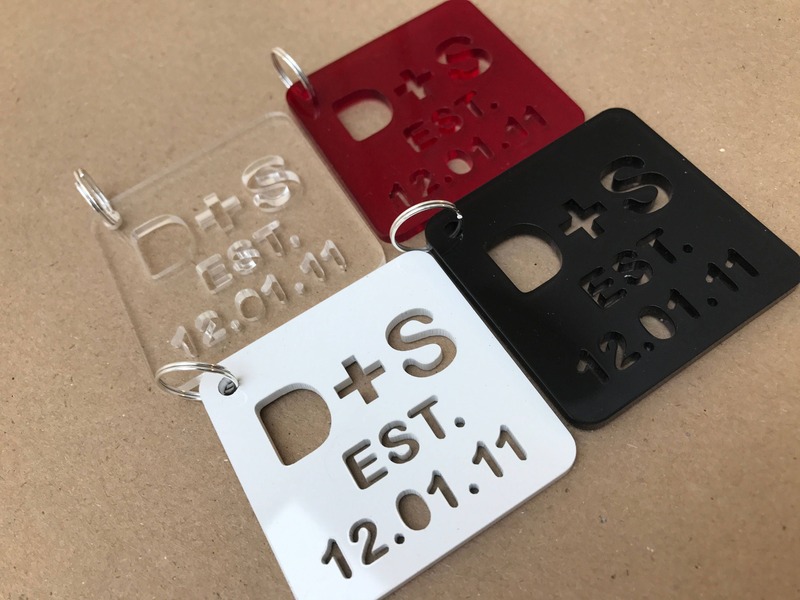 Personalised Couple Established Key Rings. · Approx Size : 40mm square. You will receive one set of two pieces. Exact same on each piece. 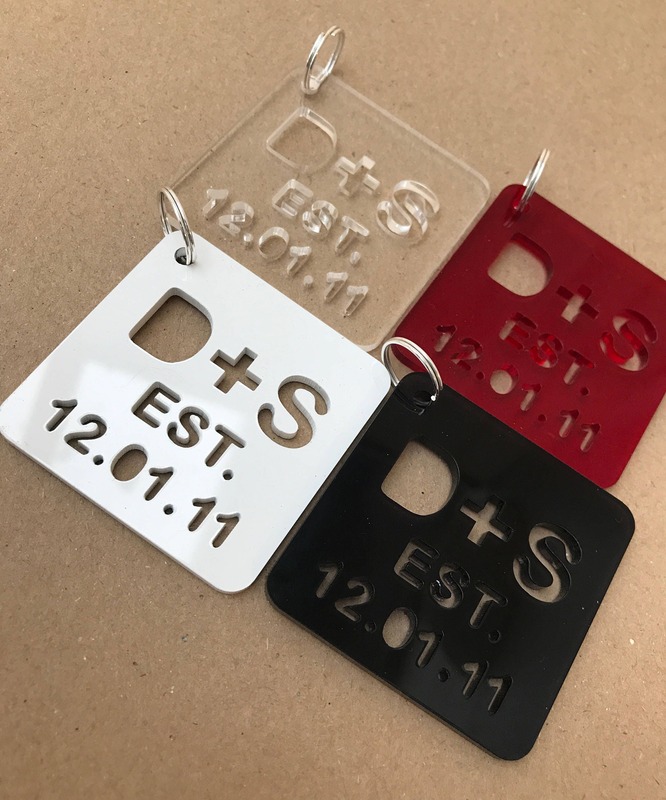 · Laser Cut From High Quality Acrylic, in 4 standard colours: black, red, white & clear.